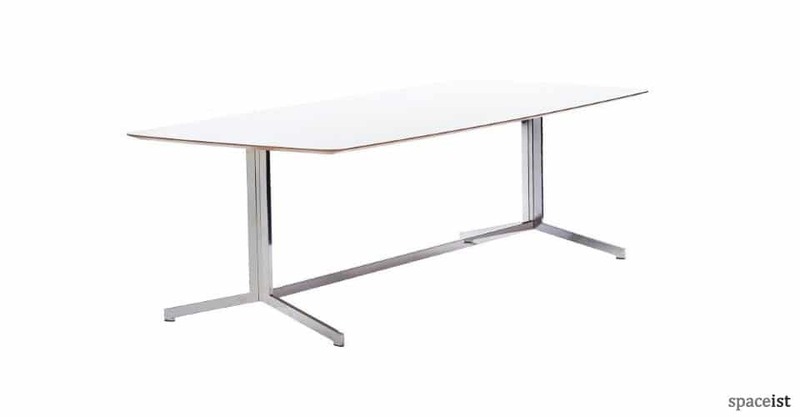 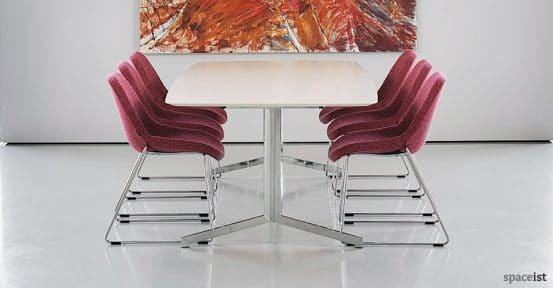 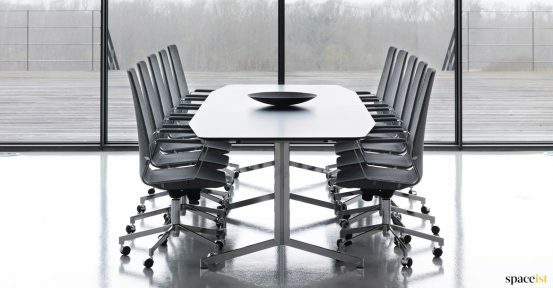 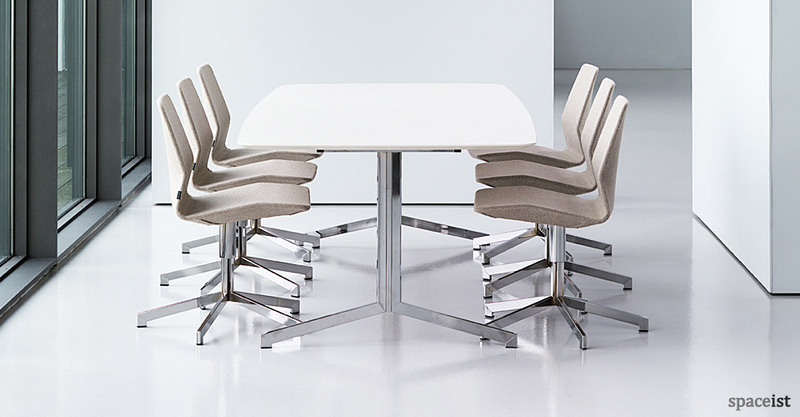 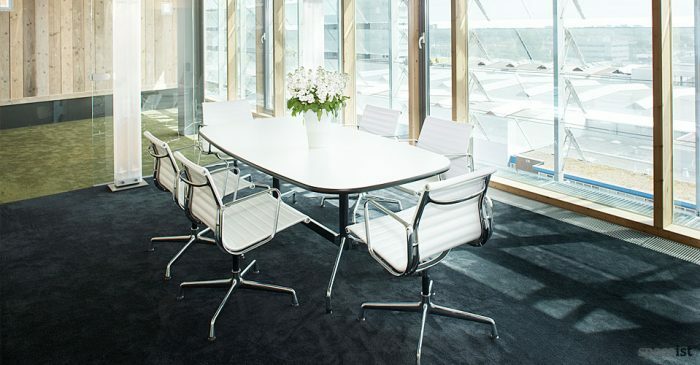 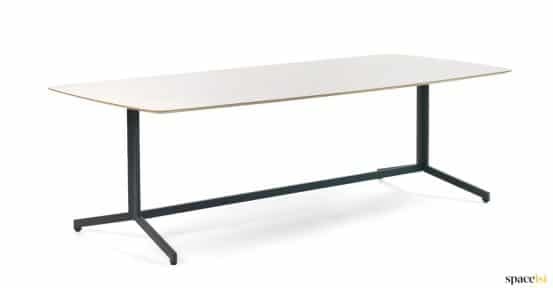 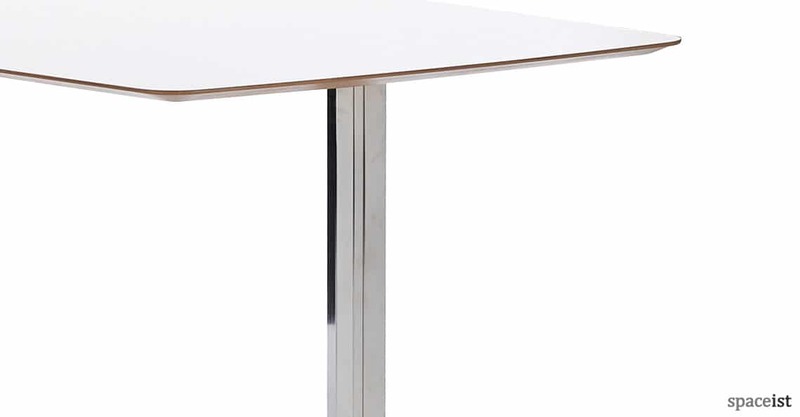 Simple white meeting room table with a white top and chrome base. 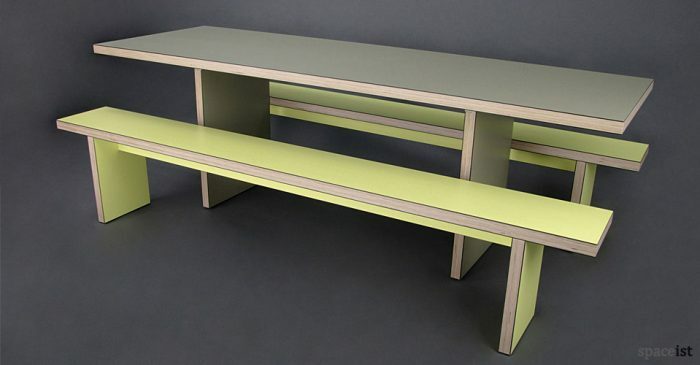 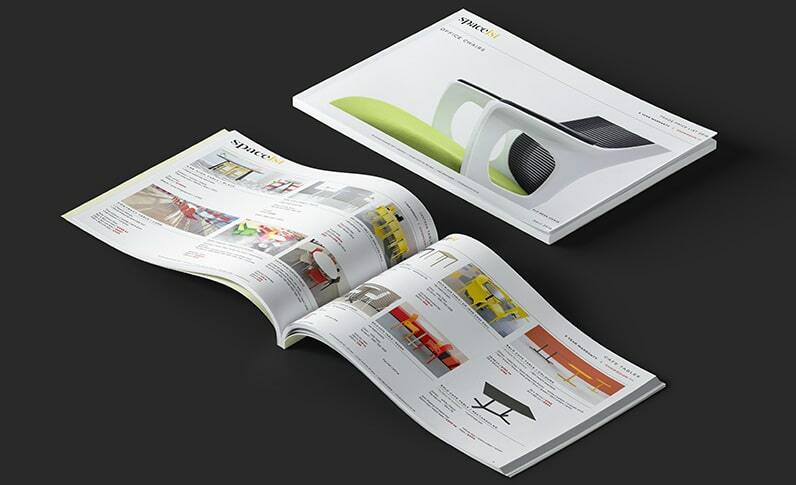 Hard wearing laminate top comes with a lacquered 45 degree edge and rounded corners. 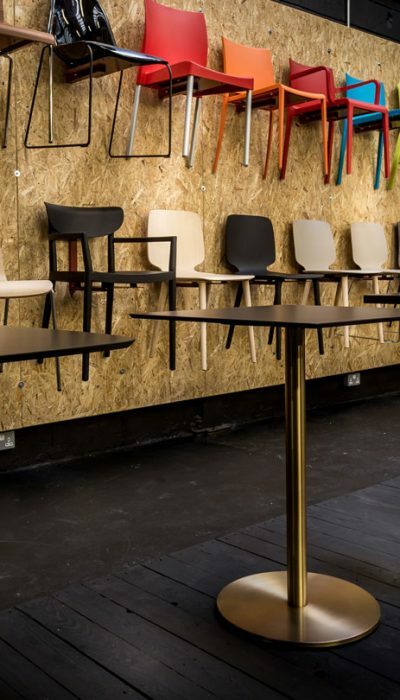 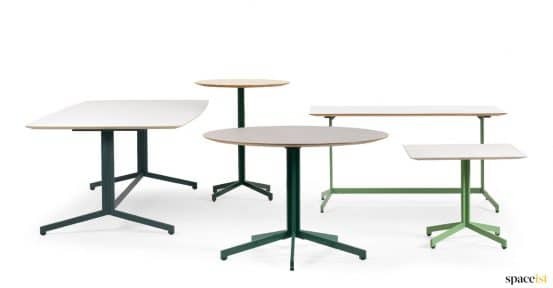 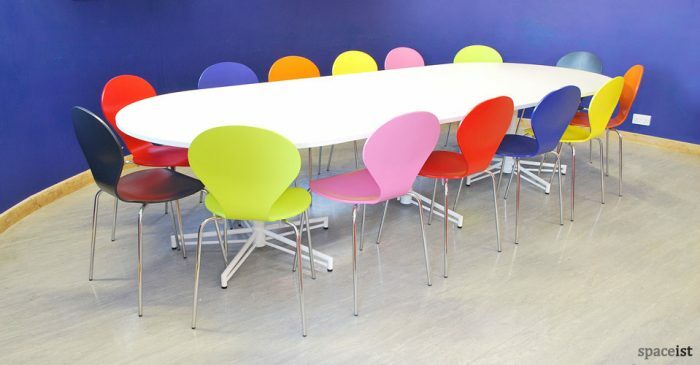 240 x 120cm table can seat 6 or 8 people. 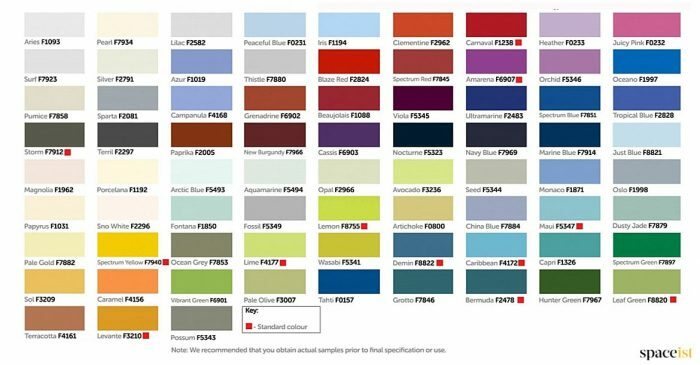 Please contact for more information and colour swatches.